Carolyn Nygren Curran ("CNC") established CNC Pottery in 1971 and has been a practicing potter ever since. A sole proprietor getting on in years, CNC is trying to do it all, but this website is not the main focus. She just wants to alert people of her continuing pottery work at this point. Tempus fugit. Check out The City Potters, New Bern, NC for news about this coop studio where CNC does much of her work and enjoys the fellowship of the other member potters. Look for her work at Bank of the Arts in New Bern as well as in her ETSY shop and on EBay. (Often if you click on CNC Pottery on either of those sites, you'll find listings by dealers selling pottery I made some 30 years ago. My work is becoming as vintage as I am. AND NO, DESPITE RECENT REPORT FROM AN EBAY SELLER, I AM NOT RETIRED. SAVE THE DATES! THIS YEAR'S 10TH ANNUAL EAST CAROLINA POTTERY FESTIVAL AT TRYON PALACE HISTORY CENTER IN NEW BERN: APRIL 12, 2018 and IGMA MINIATURE SHOW IN WINDSOR, CT THIS SEPTEMBER. 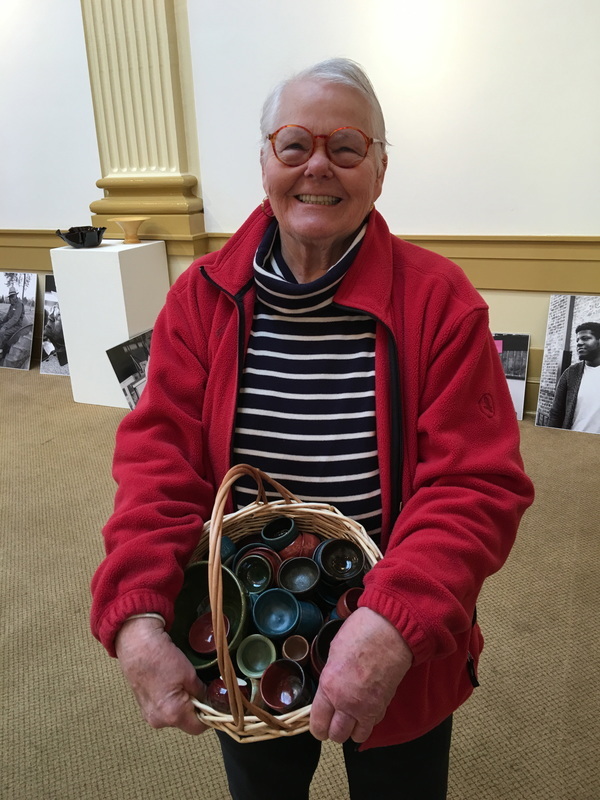 ​ the local Empty Bowls fundraiser.